God has promised a reunion in Heaven for every child of a parent who has come to the Cross-with Child Like Faith and accepted Jesus, as their Savior and Lord. If children have not reached the maturity by which they can make this decision, they have not broken their relationship with God. Their names are in God’s “book of life,” and will be blotted out ONLY if they sin against HIM (Ex. 32:33). David said of his deceased newborn son, “I shall go to him, but he will not return to me” (2 Sam. 12:23). David believed that his child was with the Lord, and that he would join him one day in heaven (Ps. 23:6). I would offer the same assurance to every BELIEVER who suffers the death of a child. Your child belonged to his or her Father (GOD) and is now with Him in eternal paradise. Our Life is about ETERNAL LIFE, not the life we live here on earth. So, which is better; to die as a child and go to heaven or to live out your life before a Holy God and be condemned to Hell for Eternity because you never considered the FACT that you are a Sinner in Need of a Savior? A Child’s actions will not be judged by GOD… But every thought, every deed, every action, every motive of your pride filled heart will be judged by GOD; when you stand ALONE before HIM the split second after you die. We cry over our Children that died here on earth. Yet, the Children who died will shed tears in HEAVEN over you. Because you have never taken the time to read the Greatest Story Ever Told: The Life, Death, Resurrection, Ascension and 2nd COMING of the SON of GOD; JESUS the CHRIST….and you will not be in heaven with them. BE WISE AS A CHILD! Heaven is full of Children, who went home to be with the LORD too early. 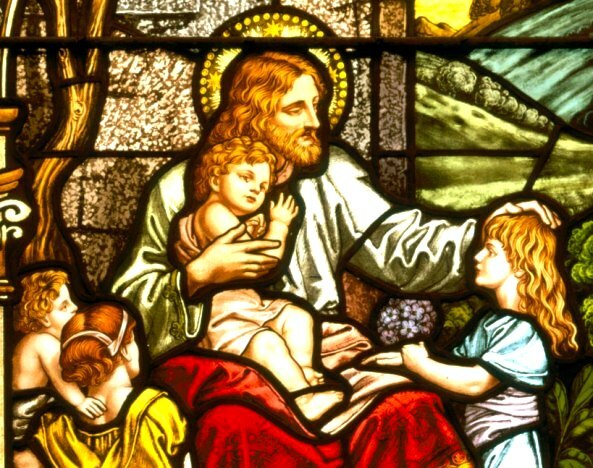 Hell is full of Adults, who never understood that JESUS wanted them to think like a CHILD.